The plastic stretch wrap market has come along in leaps and bounds in recent years. Prior to this modern packaging method, pallet goods were predominantly protected by wood and glass-based products. Though strong, these were so rigid that they often led to damage or breakages and thus cost companies money, not to mention a huge inconvenience. Here is some more information about plastic pallet wrap and how the new product and method have taken the packaging industry by storm. The use of plastic stretch wraps has increased significantly in recent years and provides packaging companies as well as their clients with a secure and economical option for moving goods from A to B. The method is reasonably straightforward: industrial machines wrap a stretched film of plastic around a pallet of cargo, creating a protective, watertight and secure shell around the goods being stored or transported. Beverage producers purchasing pallets of drinks in glass bottles have until recently been accustomed to using shrink hoods for their packaging. However, with a better material entering the packaging market, we are seeing more and more of these companies utilising stretch plastic on their pallets than ever before. Similarly, the old method of using cardboard as a packaging medium has declined massively, and the strapping of goods on to pallets has also reduced as companies have begun to realise that these aren’t economical and don’t offer their cargo enough protection from the elements. 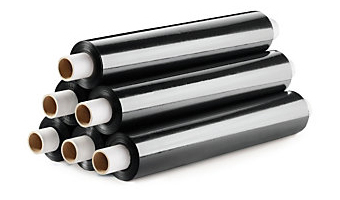 As the use of plastic stretch wrap continues to be the go-to option for many in the packaging industry, the cost of wrapping machinery should in theory start to go down because of the additional competition from new packaging companies entering the market with their materials and equipment. Adding to this, the cost of the plastic itself should become cheaper thanks to the development of thinner yet more robust films being produced to stretch the plastic even further. On the other hand, the economics of this particular packaging method will undoubtedly be put under pressure thanks to large-scale production of plastic film in the Middle East and beyond. The availability of cheaper products and materials outside of the UK means therefore that the industry structure might show signs of alterations, with current European market leaders being pushed further down the resource rank. The trend may appear to be straightforward, but it provides a whole range of benefits to those using it. Not only does plastic packaging protect pallets and goods from dust and damage, but it provides extra support and flexibility and helps to prevent any tips or spills. Numerous sectors are recognising the practicality of this product, and the plastic wrap is therefore being used by those in the food and beverage business, the electronics industry, the consumer products market and also those transporting personal care products and industrial goods.